Inayat Khan Rehmat Khan Pathan (Urdu: عنایت خان‎; July 5, 1882 – February 5, 1927) was the founder of The Sufi Order in the West in 1914 (London) and teacher of Universal Sufism. He initially came to the West as a Northern Indian classical musician, having received the honorific "Tansen" from the Nizam of Hyderabad, but he soon turned to the introduction and transmission of Sufi thought and practice. Later, in 1923, the Sufi Order of the London period was dissolved into a new organization, formed under Swiss law, called the "International Sufi Movement". His message of divine unity (Tawhid) focused on the themes of love, harmony and beauty. He taught that blind adherence to any book rendered religion devoid of spirit. Branches of Inayat Khan's movement can be found in the Netherlands, France, England, Germany, the United States, Canada, Russia and Australia. In his various written works, such as the Music of Life and The Mysticism of Sound and Music,  Inayat Khan interlocks his passion for music with his Sufi ideologies making a compelling argument for music as the harmonious thread of the Universe. "Hazrat" is an honorific title meaning, roughly, "honorable." Inayat Khan's full name was Inayat Khan Rehmat Khan Pathan. He was born in Vadodara, Gujarat, to a noble family, as on his paternal side (made of mystics and poets) he descended from Pashtuns of Afghanistan initially settled in Sialkot, Punjab, and his maternal grandfather, Ustad Maula Bakhsh (1833–1896), called the 'Beethoven of India', founded, thanks to the local ruler Maharaja Sayajirao, Gayanshala, an academy of Indian music, and in fact the first of its kind in India, in Vadodara (nowadays serving as the Faculty of Performing Arts, Maharaja Sayajirao University) and whose wife (thus Inayat Khan's maternal grandmother), Qasim Bi, was a granddaughter of Tipu Sultan, the famous eighteenth century ruler of Mysore. Primarily he represented the Chishti Order of Sufism, having received initiation into the Nizamiyya sub-branch of that order from Shaykh Muhammed Abu Hashim Madani, but was also initiated into the Suhrawardiyya, Qadiriyya and Naqshbandi. His spiritual lineage (Silsila), as compiled by Pir Zia Inayat Khan, follows a traditional lineage from Ali ibn Abi Talib, through Abu Ishaq Shami (d. 940), the founder of the Chishti order, to Nasiruddin Chiragh Dehlavi (d. 1356). With the Shaykh's encouragement he left India in 1910 to come to the West, traveling first as a touring musician and then as a teacher of Sufism, visiting three continents. Eventually he married Ora Ray Baker (Pirani Ameena Begum), a second-cousin of Christian Science founder Mary Baker Eddy and whose half-brother was the well-known American yogi Pierre Bernard, from New Mexico, and they had had four children; Noor-un-Nisa (1914), Vilayat (1916), Hidayat (1917) and Khair-un-Nisa (1919). The family settled in Suresnes near Paris. 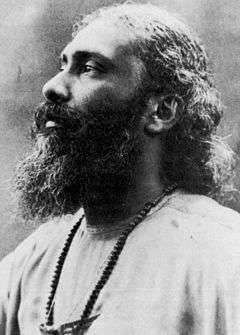 In 1922, during a summer school, Inayat Khan had a spiritual experience in the South Dunes in Katwijk, The Netherlands. He immediately told his students to meditate and proclaimed the place holy. In 1969 the Universal Sufi Temple was built there. Khan returned to India at the end of 1926 and there chose the site of his tomb, the Nizamuddin Dargah complex in Delhi where the founder of the Nizami Chishtiyya, Shaykh Nizamuddin Auliya (died 1325), is buried. Khan died shortly after, on February 5, 1927. There is one religion; unswerving progress in the right direction toward the Ideal, which fulfills every soul's life purpose. There is one brotherhood; the human brotherhood which unites the children of earth indiscriminately in the fatherhood of God. This was later adapted by followers to; "There is one Family, the Human Family, which unites the Children of Earth indiscriminately in the Parenthood of God." There is one moral; the love which springs forth from self-denial and blooms in deeds of beneficence. ... (later alternative; "which springs forth from a willing heart, surrendered in service to God and Humanity, and which blooms in deeds of beneficence"). There is one path; annihilation of the false ego in the real (later alternative; "the effacement of the limited self in the Unlimited"), which raises the mortal to immortality, in which resides all perfection. Inayat Khan's emphasis on spiritual liberty led many contemporary Westerners to think that his brand of Sufism is not inherently intertwined with Islam, although his followers continue to perform Dhikr. There is a precedent of masters of the Chishti and some other orders not requiring non-Muslim followers to convert to Islam. The number of non-Muslim Sufis before the twentieth century, however, was usually relatively few. Minqār-i mūslqār. Allahabad: Indian Press, 1912. (Urdu. Encyclopedia of Indian music and dance). "Pir-o-Murshid's Address." The Sufi Quarterly, January, 1920. The Unity of Religious Ideals. London: The Sufi Movement, 1921. Nirtan or the Dance of the Soul. London: The Sufi Movement, 1928. The Divine Symphony or Vadan. London/Southampton: The Sufi Movement, 1931. Rasa Shastra: The Science of Life's Creative Forces. Deventer: Kluwef, 1938. "Moula Bux." The Sufi Quarterly 1, no. 3,1915. "The Music of India." The Sufi Quarterly 2, April 1916. Once a classical musician, Hazrat Inayat Khan let go of his greatest attachment-his musical career- to become a Sufist Master, as is the tradition in Sufism. Immersing himself in the Sufist ideology, he found a link between his former life as a musician and his new journey along the spiritual path. Khan saw harmony as the "music of the spheres" which linked all mankind and had the ability to transcend one's spiritual awareness. Inayat Khan's most influential and well known book, The Music of Life, is the definitive collection of Hazrat Inayat Khan's teachings on sound, presenting his vision of the harmony which encompasses every aspect of our lives. He explores the science of breath, the law of rhythm, the creative process, and both the healing power and psychological influence of music and sound. Below are some recordings of Inayat Khan's performances during his years as an Indian Classical Musician. It is important to note that although he is the founder of Western Sufism and a musician, the music in these recordings is not associated with Sufi Music - the religious music associated with Sufism. ↑ Khan, Hazrat Inayat (2005). The music of life (Omega uniform ed., 1988. ed.). New Lebanon, N.Y.: Omega Press. ISBN 9780930872380. ↑ Carl Ernst and Bruce Lawrence, Sufi Martyrs of Love, New York: Palgrave Macmillan, 2002, p.142. ISBN 1-4039-6027-5. Centrum Universel an invitation for humanity to become a mureed of God.